Google has been fined more than $56 million over its advertising in Europe. Add Google as an interest to stay up to date on the latest Google news, video, and analysis from ABC News. France's data privacy watchdog CNIL announced in a statement Monday that it was imposing a record sanction of 50 million euros on the U.S. tech giant due to "lack of transparency, unsatisfactory information and lack of valid consent for the personalization of advertisement." 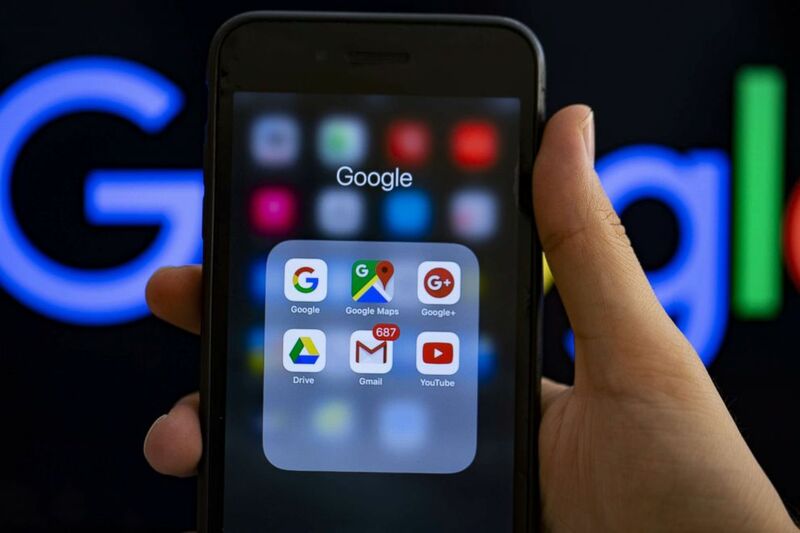 An investigation into complaints filed against Google last year revealed that users were "not sufficiently informed" about its data consent policies, CNIL said. It's the largest fine to be issued under the European Union's new General Data Protection Regulation, or GDPR, which took effect in May. Companies that violate the legislation may be fined up to 20 million euros or 4 percent of their annual turnover. In a statement obtained by ABC News, a Google spokesperson said the company is "studying the decision" to determine its next steps. "People expect high standards of transparency and control from us. We’re deeply committed to meeting those expectations and the consent requirements of the GDPR. We’re studying the decision to determine our next steps," the spokesperson said. Google applications' logos are seen on a screen in a stock photo. The CNIL said two organizations brought the claim against Google. None of Your Business, a nonprofit association that launches court cases in support of the GDPR, and La Quadrature du Net, a French digital rights advocacy group, both accused Google of not having a valid legal basis to process user data for ad personalization, as is required by the GDPR. Max Schrems, chairman of None of Your Business, said he was "very pleased" with the ruling. “We are very pleased that for the first time a European data protection authority is using the possibilities of GDPR to punish clear violations of the law," Schrems said in a statement Monday. "Following the introduction of GDPR, we have found that large corporations such as Google simply ‘interpret the law differently’ and have often only superficially adapted their products. It is important that the authorities make it clear that simply claiming to be compliant is not enough." La Quadrature du Net said it welcomes the "first part of the response to our complaint against Google." "We therefore expect the CNIL to respond quickly to the rest of our complaint, about Youtube, Gmail and Google Search, imposing this time a sanction of an amount proportionate to this company and the extent and the duration of the violation of our rights," the group said in a statement Monday.